" I have a mild case of claustrophobia and can't tolerate the full face masks. The Pilairo Q is fabulous for me. And it's so quiet. It's so worth it. " 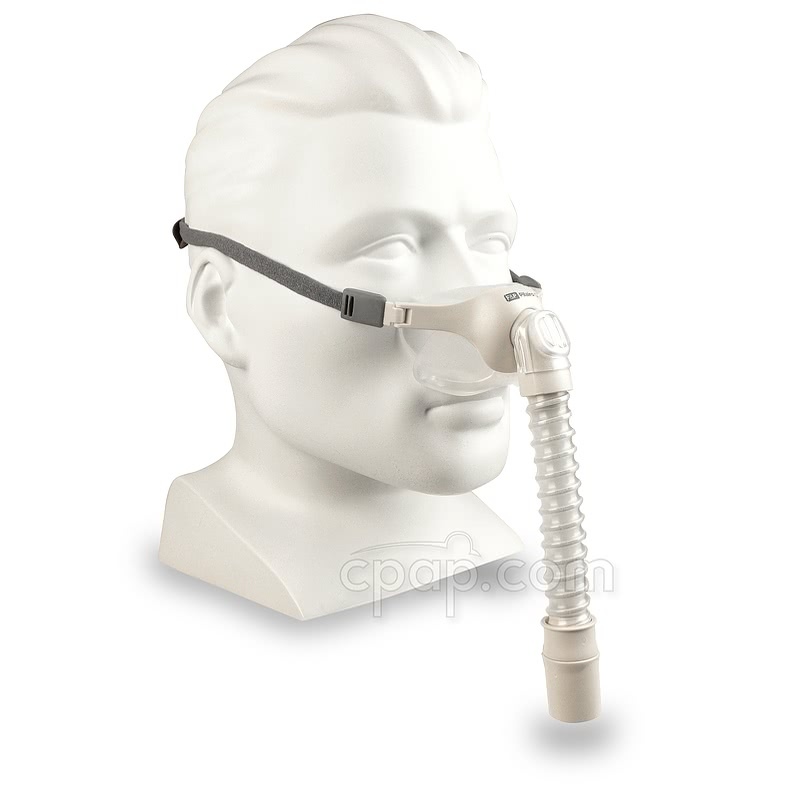 " Much more comfortable than the previous masks I've used. Also, doesn't leave marks and grooves all around my nose and face. " 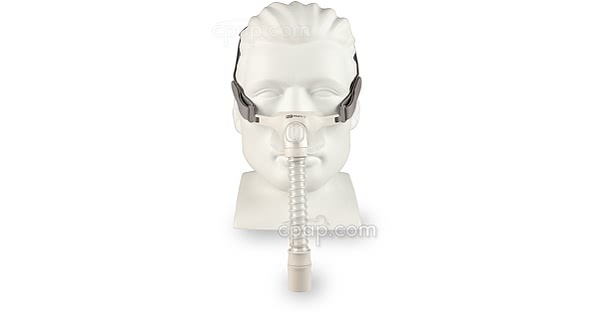 Building on the success of the Pilairo mask, the Pilairo Q Nasal Pillow CPAP Mask with Headgear adds new features to the original design to earn the "Q" for quiet in its name. 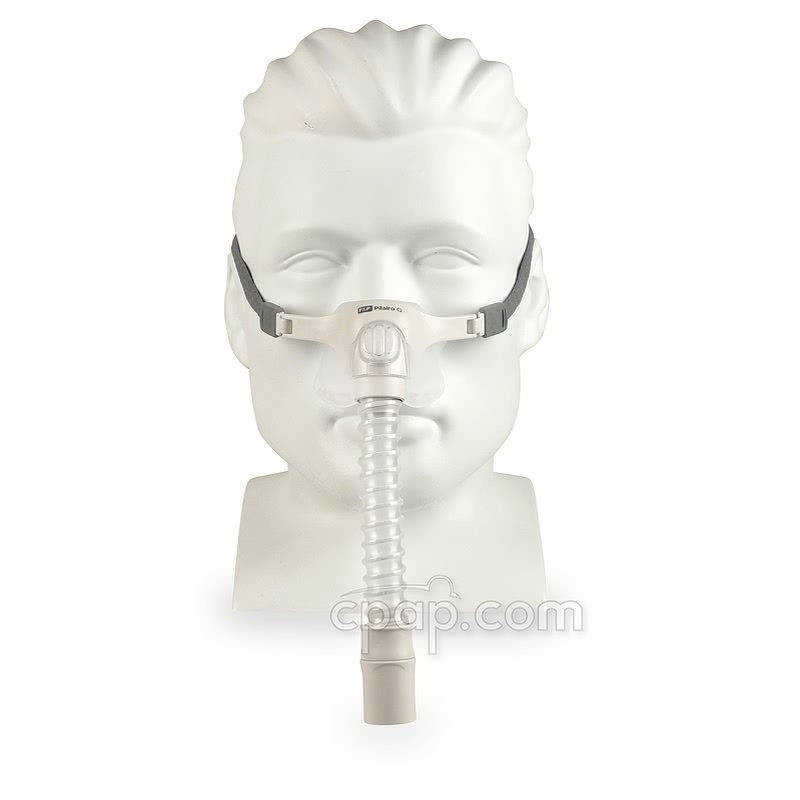 Features added include a diffuser filter for quieter exhalation and two headgear options included to offer a better fit. 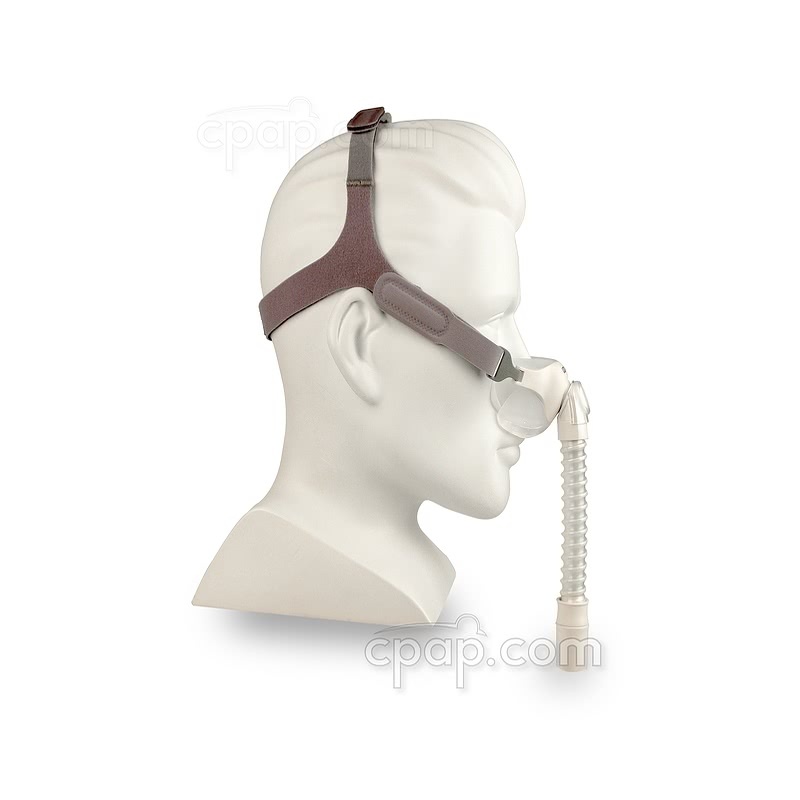 The Pilairo Q Nasal Pillow CPAP Mask with Headgear makes advancements on the already popular and lightweight Pilairo mask. 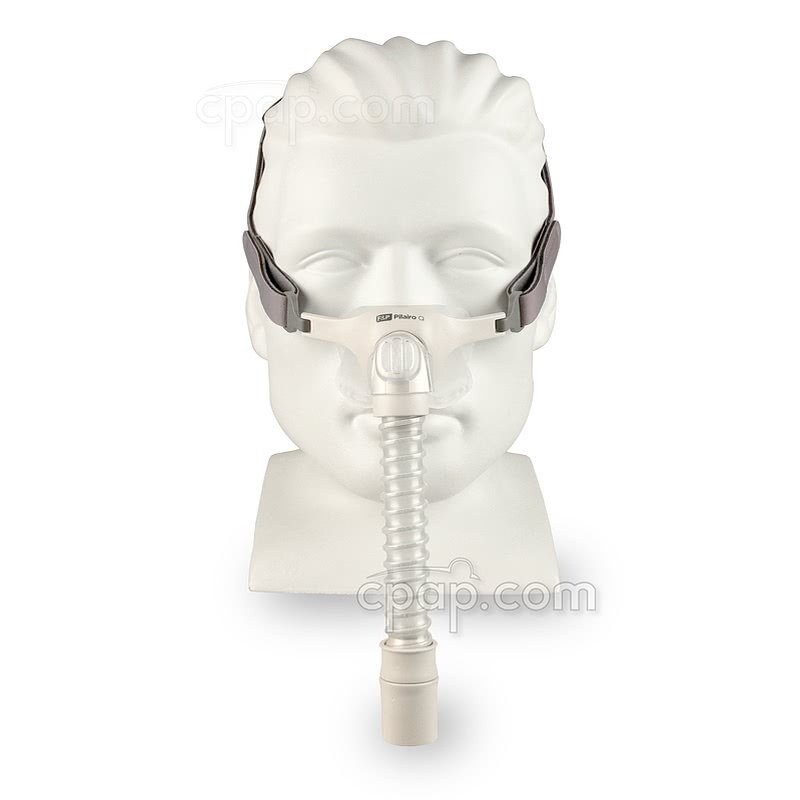 The Pilairo Q is a great option for those looking for a simple yet effective nasal pillow mask. 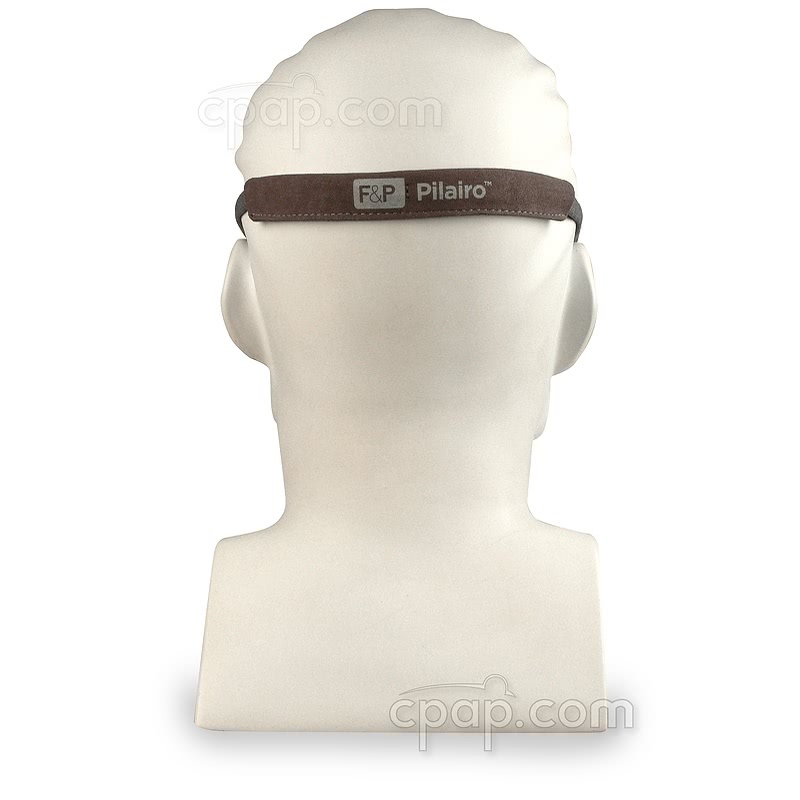 The Pilairo Q finds stability without the need of a bulky frame or headgear, making it a nasal pillow mask that offers the best seal possible without being cumbersome. There is no forehead support to block bedtime reading or TV watching. One of the main improvements from the original design lies in the diffuser and exhalation port of the Pilairo Q. 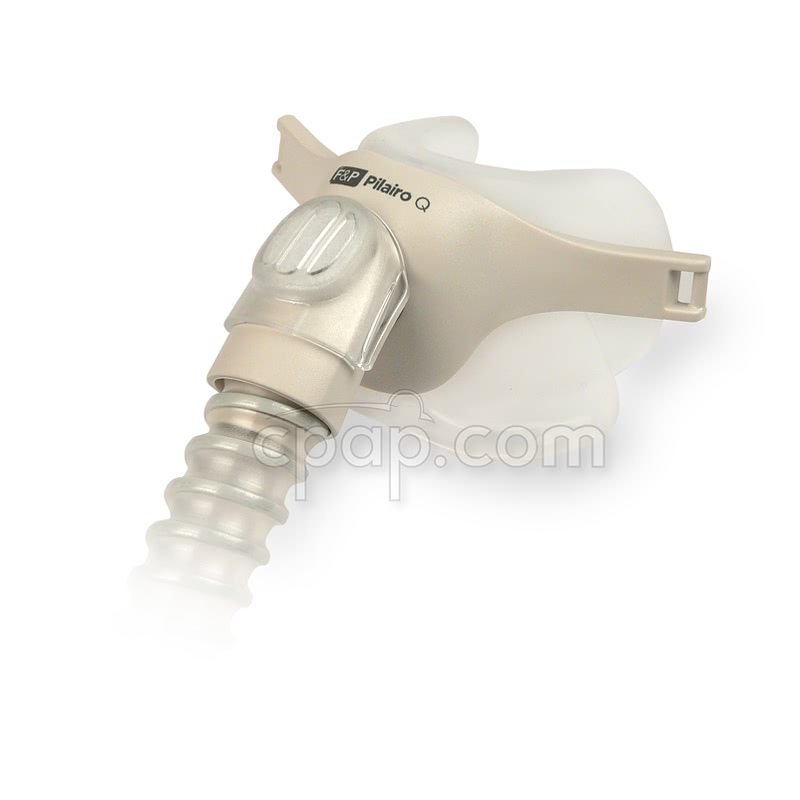 An added diffuser helps reduce noise created from air being released through the exhalation ports, providing a better experience for the user and bed partner alike. 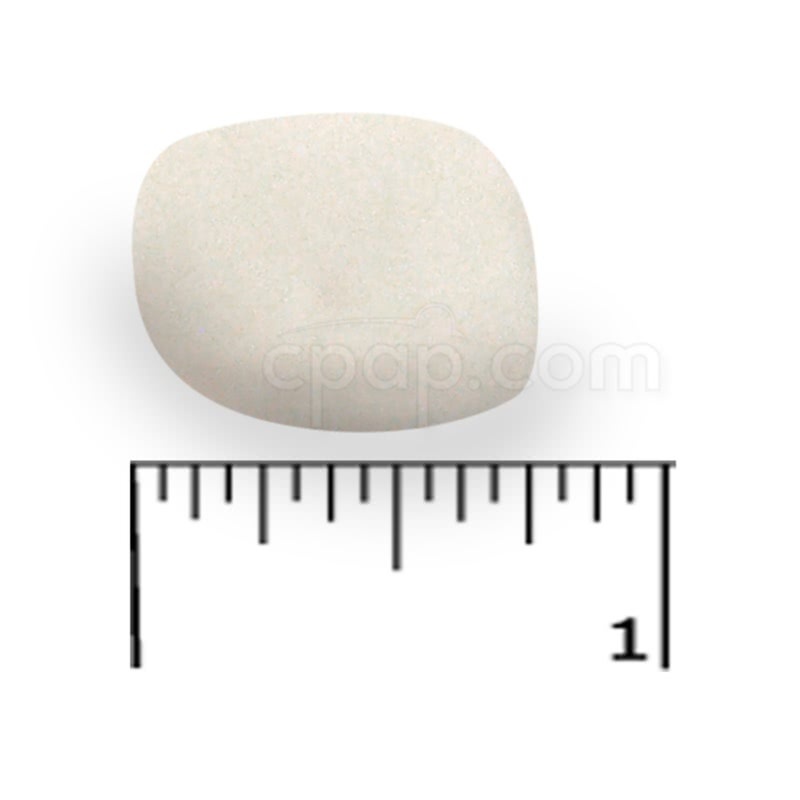 The popular one-size nasal pillow from the original Pilairo are featured on the Pilairo Q. 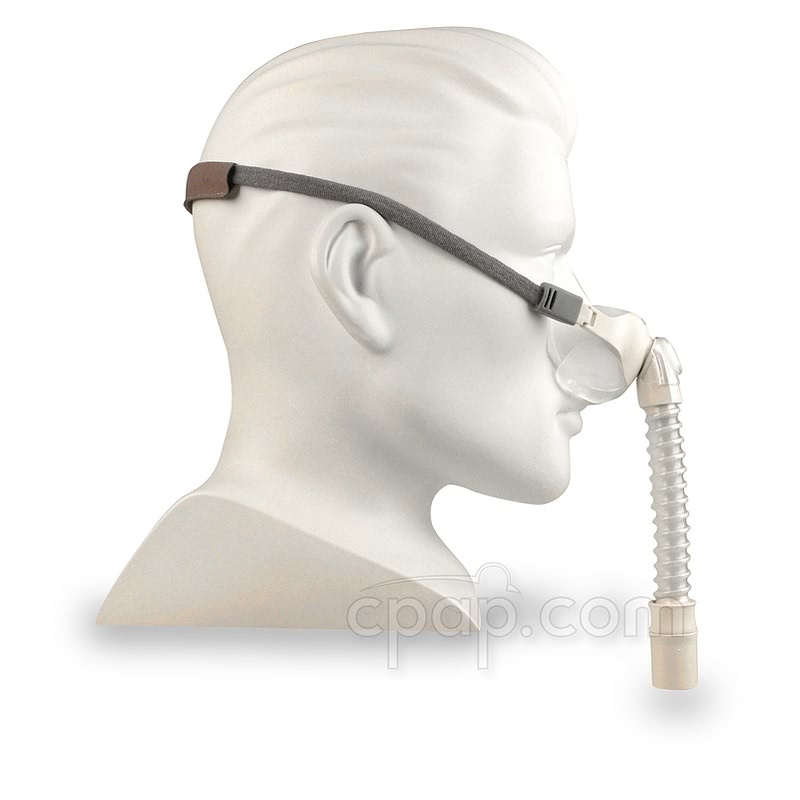 The pillow self-inflates when air pressure is provided to the mask, offering the best opportunity for a effective seal to be created at the nares or nasal openings. 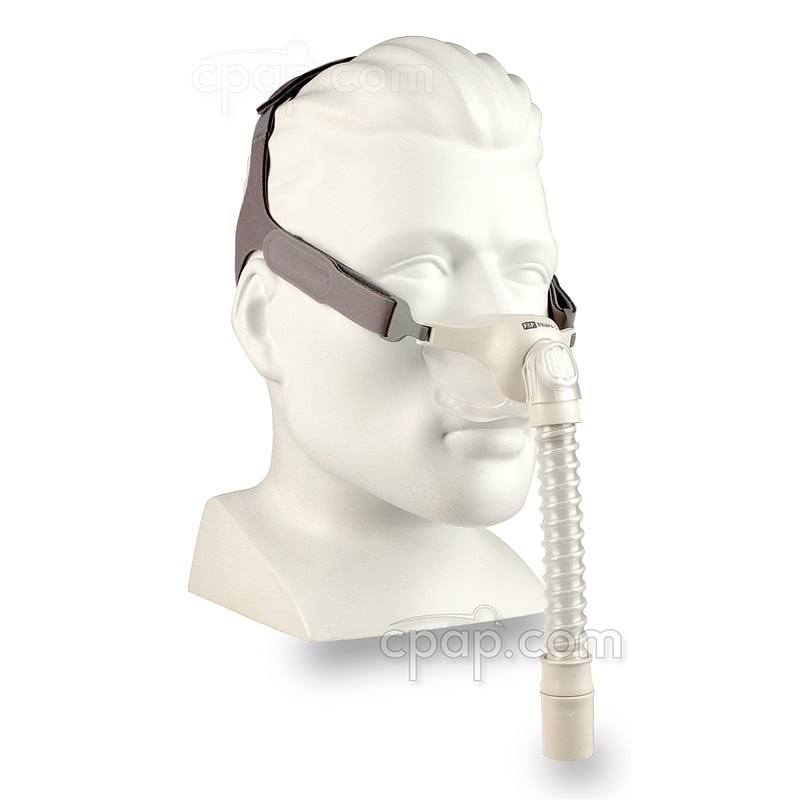 Due to the stable design of the nasal pillows, a simple non-adjustable headgear is included and may be all that is needed to provide a comfortable fit and seal. 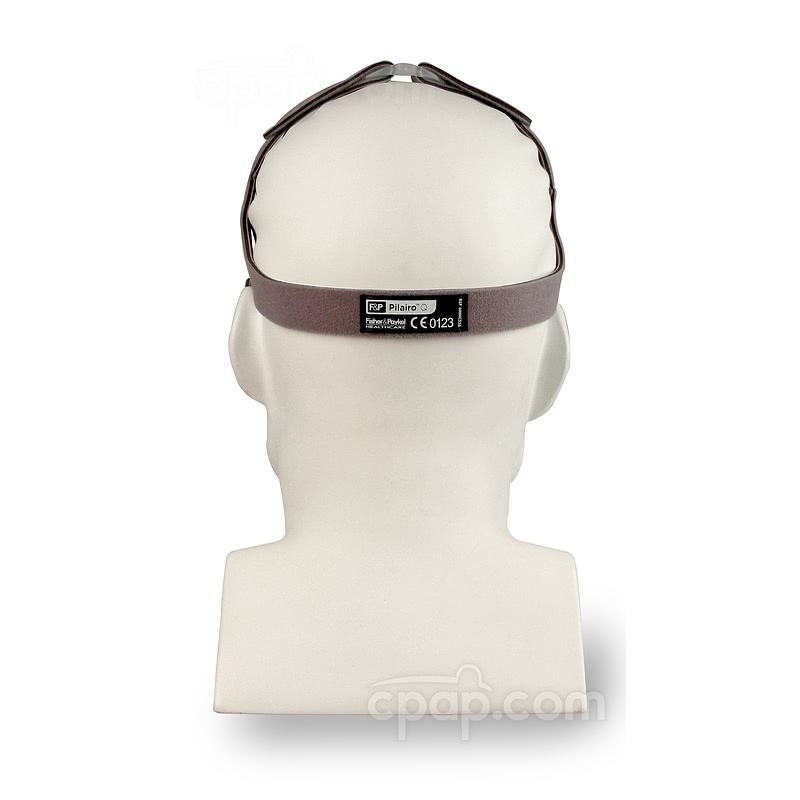 The Pilairo Q also includes a new adjustable headgear which is included if a more customized fit from the headgear is desired. 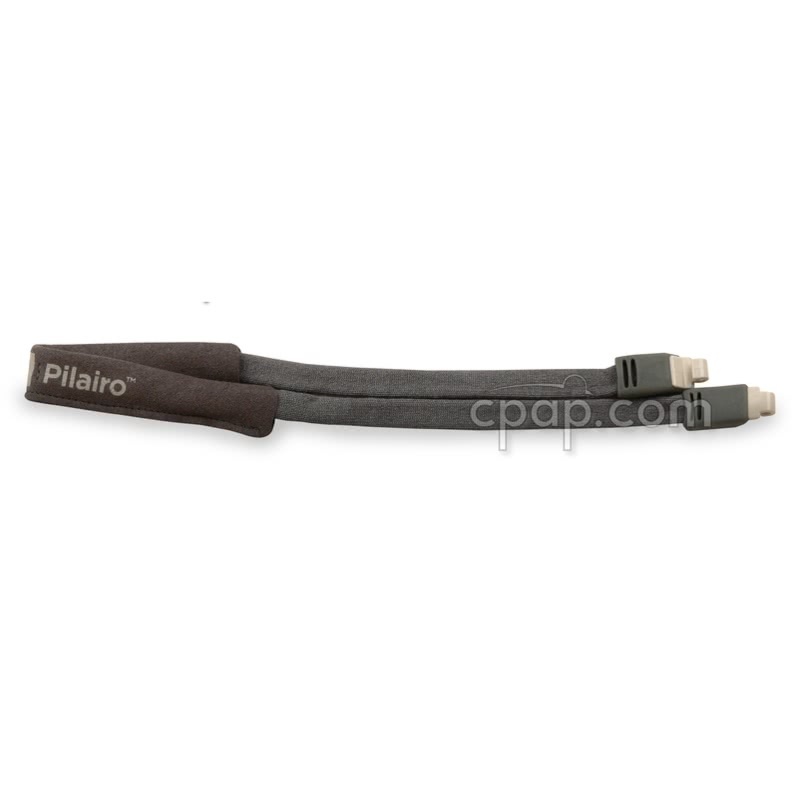 To view reviews and information regarding the original Pilairo, click here. 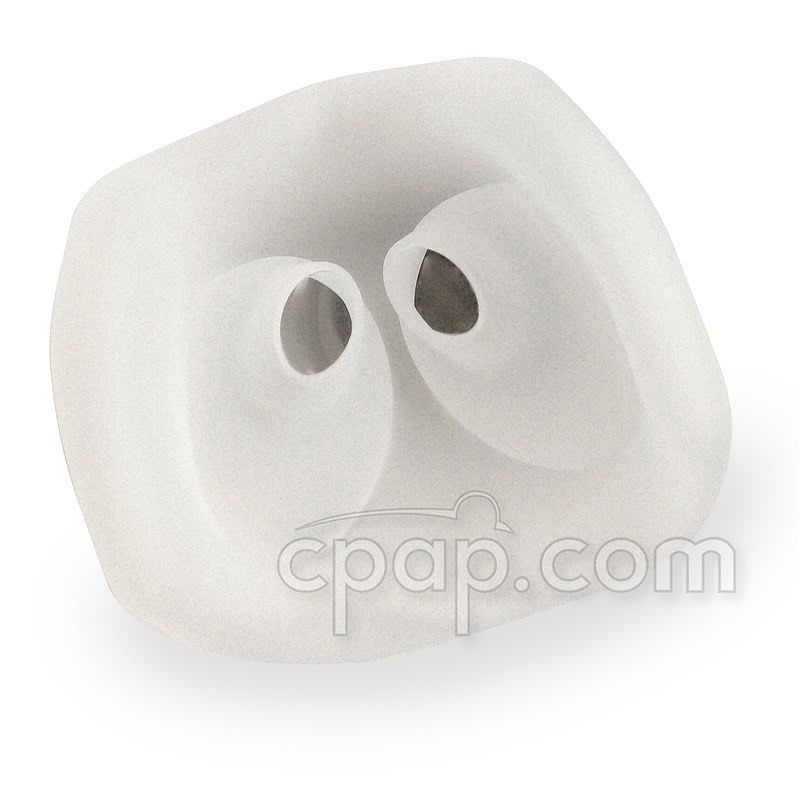 The Diffuser Filter for Pilairo Q Nasal Pillow CPAP Mask has two sides; one side is coarse and the other side is soft. 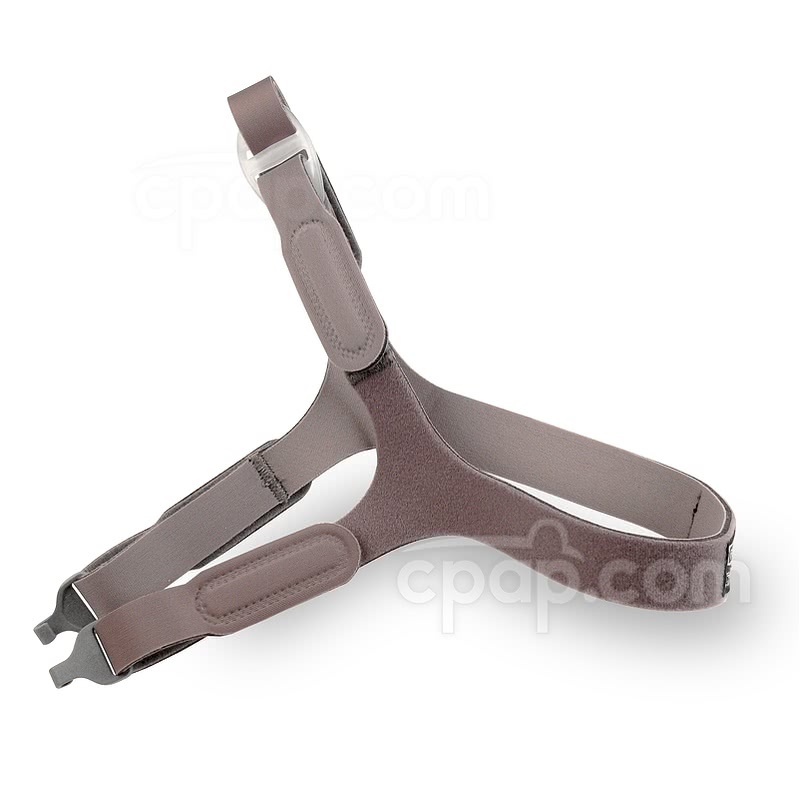 Place the tougher side behind the filter cover openings so it is visible from the top of mask swivel.